To formulate their own answer to the Jason Bourne franchise and the renewed success of James Bond, Paramount Pictures has once again revived the late Tom Clancy’s popular spy series in Jack Ryan: Shadow Recruit. This time, they’ve upped the action quotient and lessened the IQ prerequisite enough to make the material accessible for general audiences, who should flock to theaters to see Paramount’s own second-round Captain Kirk—Chris Pine—play Clancy’s titular CIA analyst. Pine makes the fourth actor to play Ryan in the fifth movie about the character, following Alec Baldwin (The Hunt for Red October), Harrison Ford (Patriot Games, Clear and Present Danger), and Ben Affleck (The Sum of All Fears). And while Paramount already tried and failed to reboot the franchise back in 2002 with a story about the young Jack Ryan on his first field mission, their latest effort is just entertaining enough to warrant future films. 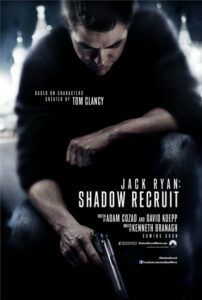 The original screenplay by David Koepp and Adam Kozad wasn’t based on any of Clancy’s nine books in the Jack Ryan series, although familiar elements from those stories are present here. 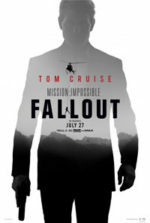 The film repositions Ryan in post-9/11 geopolitical warfare (versus Clancy’s original Cold War climate), borrowing narrative elements from Clancy’s first book in the series, The Hunt for Red October. Like that story, Shadow Recruit finds the analyst and reluctant hero on a mission to save the United States from destruction by the hands of Russians. Except, instead of a nuclear submarine provoking World War III, a terrorist bombing in New York is meant to incite the “Second Great Depression”. 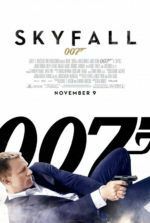 The film was directed by Kenneth Branagh (Thor) and shrewdly exploits our fears of global economic volatility, while also bringing a hearty dose of good-ole-fashioned spy actioner tropes: car chases, gunfire, and an engaging sequence of high-tech thievery. Early scenes follow Clancy’s origin story closely. Ryan joins the Marines after earning a near-doctorate in Economics, and once enlisted he barely survives a helicopter crash. While in recovery, he meets and falls in love with his live-in significant other, Cathy (Keira Knightley, American-accented), his physical therapist. He’s soon recruited by his smooth and terse mentor Harper (Kevin Costner), the epitome of flat CIA assuredness. But this isn’t the ineffectual or corrupt agency we’ve been exposed to in films of late (the Bourne movies, The Losers, RED, etc.). Harper’s unit doesn’t engage in waterboarding or rendition (Ryan makes it clear he wants nothing to do with such tactics), and their missions are carried out with as much polished precision as the Impossible Mission Force. This is a CIA audiences can rally behind. Ryan is assigned to a Wall Street firm where he covertly monitors trading trends to find inconsistencies which might point to the secret funding of terrorist organizations. Inevitably, he finds some fishy dealings around despotic banker Victor Cherevin (Branagh), a deliciously evil movie bad guy whom Ryan confronts face-to-face in Moscow. These scenes are the best in the film and contain clever wordplay and restrained tension, especially after Cathy arrives in Moscow to surprise her fiancé and determine if he’s having an affair. But he’s not cheating on her, at least not with another woman. Ryan’s secret is far more patriotic and she’s relieved when he’s forced to tell her his CIA status. But Cathy’s presence incites Cherevin to exploit use her to his advantage. When Cherevin’s Master Plan is finally revealed as a NYC terrorist attack, the finale plays out in a breakneck style, rushing through the action to the end credits. The material might be considered overly formulaic if not for Branagh’s wise casting choices, including his own performance. Under a thick and somewhat cartoonish Russian accent, the British thespian who was once poised to become the next Laurence Olivier (and, like Olivier, Branagh directed several Shakespeare adaptations) plays a juicy Bond-villain type—complete with physical malady and ornately designed offices. There’s a scene in which Cherevin and Cathy exchange a few charming lines of dialogue at dinner, and for these moments it a small joy to watch performers of Branagh and Knightley’s caliber play off each other. Costner’s directness and cool confidence make him an excellent choice, and he makes the most out of his smaller role. At center stage is Pine, who’s not as cocksure as his James T. Kirk, but he’s still a “boy scout” with something to prove. As Ryan, Pine eschews the character’s standard bookworm characteristic and easily makes Ryan into a hero of both brains and physical brawn. Branagh’s treatment has more physical brawn too, with Shadow Recruit offering a number of shootouts, hand-to-hand combat sequences, vehicle chases, a digital-timer bomb, and the imminent threat of explosion on American soil. 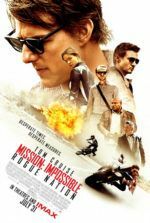 Indeed, unlike the Jack Ryan spy-thrillers which came before, this film presents a hero who rides motorcycles and infiltrates an elaborate security system. And while there are smaller scenes of good acting to savor, all of this high-pressure suspense has been cut to a rather choppy outcome by editor Martin Walsh, resulting in a brief 106-minute runtime (most of the other Jack Ryan films were 2 hours or more). The fast pace and strong performances throughout go a long way to providing us with an entertainment that’s diverting and requires a few more brain cells than your average Hollywood actioner to process. The film and story aren’t as dense or involving as the author’s books or previous book adaptations, but Paramount has delivered a worthy franchise restarter.